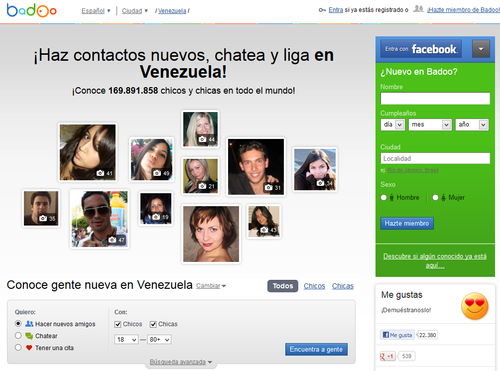 Online dating sites in Venezuela have enjoyed the same success as in Ecuador. If you are a Venezuelan or lonely traveler or expatriate in Venezuela, I highly recommend you give online dating a try. Venezuelans are beautiful. The jaw-dropping beauty of the people there is one of the first things I noticed during a weekend trip I took to the country in 2000. It is no surprise that Venezuelan women consistently make the top 10 for world beauty pageants such as the Miss Universe Contest. Although Venezuelans aren’t as diverse as the people of other South American countries like Brazil or Colombia, they are still stunning, and rest assured, you will find loads of gems (especially in Caracas). Should you decide to sign up for the online dating sites I recommend below, be sure to read member profiles carefully as you might come across a lot of fake profiles. Usually, I can spot these profiles easily. A woman who has only one picture posted, is wearing a tight bikini and making an overly suggestive pose are usually clear signals to steer clear. Also another clue is a woman in her early 20s who says she is interested in men between 20 and 80. Without further ado, here is the quick list of the top two dating sites in Venezuela. I’ll go into more detail in my reviews below. Latin American Cupid is second-to-none in Venezuela. 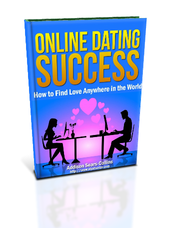 This site will be your best option should you decide to look for love online in Venezuela. The site is full of Venezuelan singles. I admit, in some countries like Argentina, Uruguay, or Paraguay, the member numbers are so low on this site that it is barely worth it to set up an account. This is not the case, however, in Venezuela where a simple search of women 21-35 who live in Venezuela will turn up more than 1000 profiles. A massive worldwide online dating site launched in 2006, Badoo is a second option if you are looking to date someone in Venezuela. It is a big step down from Latin American Cupid in terms of quality, but it is still worth setting up a profile if you have the time. I must warn you though that the level of trash profiles you have to weed through on Badoo is so high that you might get discouraged. Because of my issues with the quality of profiles on Badoo, I do not recommend that you use this site as a starting point for your dating search.